Product prices and availability are accurate as of 2019-04-15 10:32:12 EDT and are subject to change. Any price and availability information displayed on http://www.amazon.com/ at the time of purchase will apply to the purchase of this product. The F300 is a medium-duty foot switch featuring a highly durable die-cast zinc alloy housing, powder-painted finish, and do-it-yourself wiring connection. Ideal for power tools, office and communication equipment, lighting, dental, musical, and more. 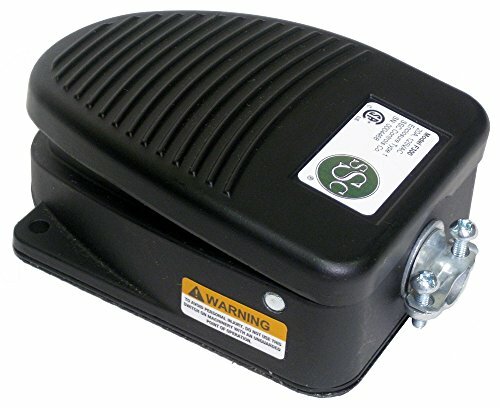 Features a 20-amp at 125 VAC (10-amp at 250 VAC) rated switch. This is a maintained foot switch which actuates like a ball-point pen: press pedal once to turn on, press again to turn off (you can remove your foot after turning it on and it will stay on). You will have to add a cable to wire this to your device using the two short leads coming off the switch and the ground screw location. Consult an electrician for proper wiring advice if needed (or see F300-1501 for the 3-pronged piggyback plug version that you can plug into the wall outlet). Includes adjustable strain relief connector, traction pad, and two exterior bolt-down holes. Enclosure rating: CSA/NEMA Type 1 and IEC 60529 IP20. For indoor use in dry environments. CSA Certified to US and Canadian standards. Size: 4.8" L x 3.5" W x 1.7" H; 2.1 pounds. One year warranty on parts and labor. 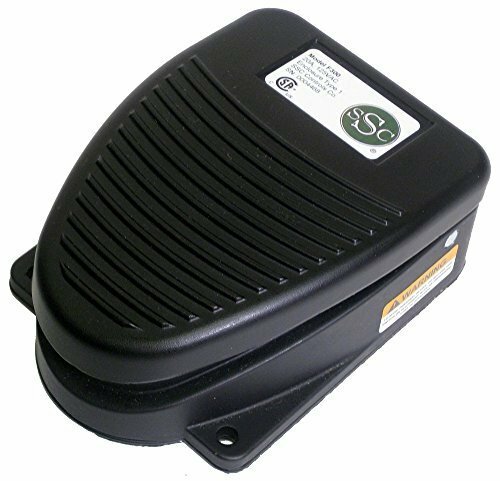 Made in the USA by SSC Controls Company. 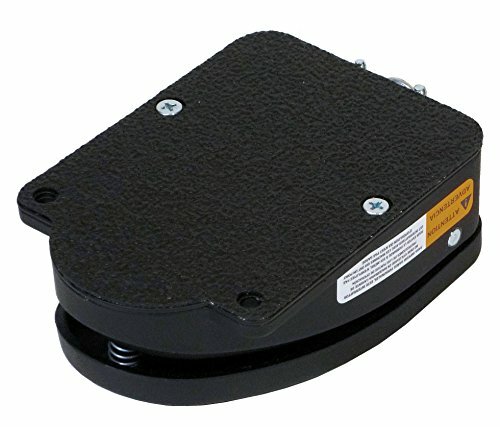 Medium-duty foot switch with highly durable die-cast housing and powder-painted finish. User connects their own cable inside the foot switch; cable strain relief included. Maintained action - Press once to turn on, press again to turn off. 20 A, 125 VAC; 10 A, 250 VAC; 1.5 HP, 125/250 VAC; SPST UL / CSA Certified and Made in USA.